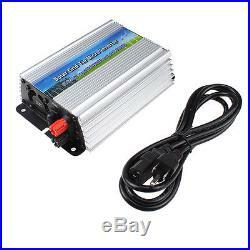 10.5-28V 300W micro grid tie inverter for solar panel home system MPPT function. Pure Sine Wave Output. Fed the power to city net. No battery for solar systme anymore, really enviroment friendly. 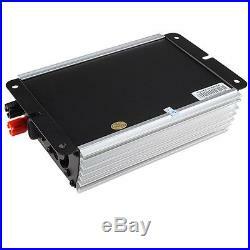 Wide range input voltage 10.5-28V 300W. Max power point tracking function. How to install the grid tie inverter. Step 1: connect the solar panel to the inverter. Red terminal of inverter is positive, Black terminal is Negative. 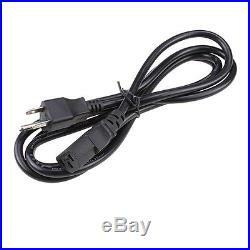 Step 2: Plug inverter power cable into any outlet at home. Step 3: Switch on the inverter. 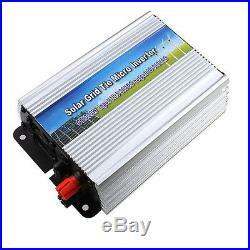 Noted: this solar grid tie inverter only work with solar panel, can not work with wind generator. 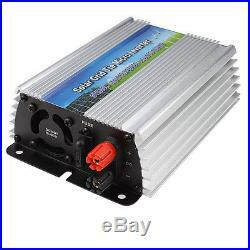 Can not work as off grid inverter. Directly connected to the solar panels (do not need to connect the battery). Using precise MPPT function, APL functions, the inverter automatically adjust the solar panels of maximum output power? Simply connect the solar panel to the grid inverters. Do not need to connect the battery. AC 0 angle with high precision auto-detection. AC phase angle of 0 through isolation amplifier then input to the MCU for high-precision detection and analysis. The phase shift rate is less than 1%, thus achieve high-precision with phase modulation AC output together. In the process of the grid, usually adapt the same phase angle in parallel. Ie, When the two-phase alternating current total is equal to 0. Use switch to combination the two AC fusion and the product is rectified AC half-frequency AC to 100Hz first, then the machine use the high frequency current in the circuit and semi-100Hz frequency alternating current generated combination, to achieve high-frequency modulation. Use SPWM directly to make pure sine wave output. Automatic Sensing Function Solar Luminosity. Use the latest luminosity perception operation technology. The different illuminate angle and intensity of the solar panel will produce different current output. Use advanced CPU to operate the different illuminance and the data can be directly displayed on the LCD. Then you can visually see the sense of the strength of the sun unit. Power Automatically Locked (APL). In different current fluctuations, we should use the MPPT function. When the MPPT function adjusted to the maximum power point, the product automatically powers locked in maximum power point, then made the output power more stable. Maximum Power Point Tracking (MPPT). Because the current intensity and the voltage changes at any time, if there is no power point tracking, there will be a lot of problems. In the past time, usually adopt a solar controller, but this product uses high-precision MPPT operation power, automatic and immediate adjust the solar panels output power at the maximum output point, then achieve a stable output purposes. Automatically Adapt To Different Load Power Factor. Adapt to any of the power load. Constant Current, Constant Power. 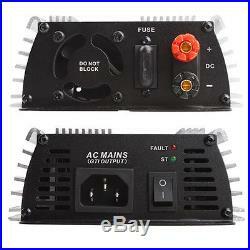 This product is constant current, constant output power, without any overload, over-current phenomenon. Automatically Shut Down When The Power Output Of a Fault. 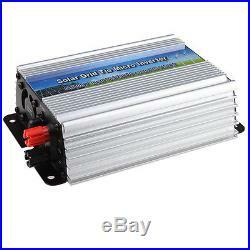 When the city power system is in failure, the inverter will automatically turn off the output. Multiple small power inverters in parallel can achieve large output power. High-Frequency High Conversion Rate. Adapt high frequency converter, the output more efficient. 1 x GTI Series Inverters For Grid. 1 x standard AC wire. 1 x user manual. Recommend use solar panels. DC Maximum Input Power. Maximum output power factor. AC maximum output power. AC standard voltage range. Output current total harmonic distortion. Output short circuit protection. 099%(Indoor Type Design). Sellers are not responsible for service transit time. Transit times are provided by the carrier, exclude weekends and holidays, and may vary with package origin and destination, particularly during peak periods. UPS Ground is not available for HI, AK, PR, APO/FPO. We don’t collect your financial information. This can be obtained by you either from our website or from our customer service people. 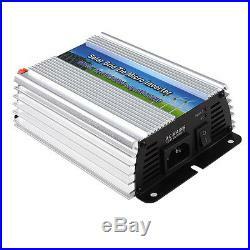 The item “10.5-28V 300W micro grid tie inverter for solar panel home system MPPT function” is in sale since Friday, July 05, 2013. This item is in the category “Home & Garden\Home Improvement\Electrical & Solar\Alternative & Solar Energy\Chargers & Inverters”. The seller is “mambate” and is located in East Brunswick, New Jersey. This item can be shipped to United States, to Canada, to United Kingdom, to China, to Mexico, to Germany, to Japan, BR, to France, to Australia, RU, DK, RO, SK, BG, CZ, FI, HU, LV, LT, MT, EE, GR, PT, CY, SI, SE, KR, ID, to Taiwan, ZA, TH, to Belgium, to Hong Kong, to Ireland, to Netherlands, PL, to Spain, to Italy, to Austria, IL, to New Zealand, PH, SG, to Switzerland, NO, SA, UA, AE, QA, KW, BH, HR, MY, TR, CL, CO, CR, DO, PA, TT, GT, SV, HN, JM.